S. Mitchell Weitzman is the author, with his mother, Lucia Weitzman, of the book The Rose Temple: A Child Holocaust Survivor's Vision of Faith, Hope and Our Collective Future. 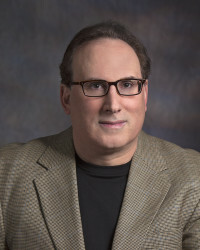 He is a counsel with the Food and Drug Administration in the Washington, D.C., area, and his work has appeared in publications including Washington Jewish Week and Coping. Q: Why did you and your mother decide to write a book about her life? A: Publishing a book was the last thing my mother imagined doing. Her childhood vulnerabilities and fears as the lone Jew remaining in her postwar Polish hometown still lingered. Privacy was her natural impulse. Placed by her parents into the care of a Catholic couple in a desperate attempt to save her, my mother’s background merits documentation for historical purposes. Unlike the Jewish children hidden with Catholics and later reunited with relatives, or those who learned later in life that they were Jewish, my mother found out she was Jewish at age five. She struggled with, and because of, her dual identity throughout the remainder of her childhood and adolescence. 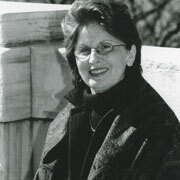 But the main impetus for writing the book began once she undertook a spiritual journey in midlife, after my father died. On one level the journey was personal, addressing her search for her authentic self and her life purpose after others had long since labeled or defined her. However, on another level, Biblically-symbolic messages she received through dreams and inspired writings spoke to a broader purpose and our decision to publish. They indicated the need for a shifting global consciousness from a paradigm of divisiveness and intolerance to one of healing and connectedness. Q: How did you separate your roles as son and writer as you examined your mother’s story? How did the two of you work together on the project? A: As a writer, I tried to maintain a certain distance so that I captured a real-life woman, not just an admired, beloved mother. I would write her story independently, imagining how she must have felt, and then she would send me notes or an interview transcript. Sometimes we found amazing synchronicity; at other times, I captured thoughts and emotions she hadn’t yet acknowledged or internalized, like her relationship with Jesus. In fact, I once went to Mass so I could better understand her experience. That said, there were several very emotional, revelatory moments during our writing process. At one point during a trip to her hometown in Poland, she disclosed that her adoptive father had made advances to her after she turned 13. She lived in constant fear of him. I’d always thought that her home was a refuge from the challenges she faced at school and in her neighborhood. This was a shock—and I was already midway through the book. Needless to say, the need to revise was the least of my concerns. Q: You begin and end the book by reflecting on a question about God’s involvement—or lack of involvement--during times like the Holocaust. How would your mother answer this question? A: As we say in the book, the question about God’s presence or absence during the Holocaust is one that theologians, scholars, and others have asked for decades. There may be no definitive answer. Interestingly, the question itself emerged from my mother’s “inspired” writing, which is writing that originated as a thought perceived or sensed as a voice which she believed to be Divine. It was as if God wanted the question to be asked as a means of engagement. The answer, for my mother, is that God was, is, and always will be present in her life. Is her answer the answer for everyone? “People must follow their own path,” my mother says, “and questions and answers about God’s presence must come from within." In the epilogue, I turn the question around. Instead of asking about God’s presence in our world, I pose that we consider our presence in His. 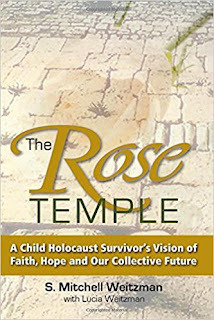 A: Inspired by my 9-year-old niece, I am adapting The Rose Temple for children. She read the book and felt empowered enough by it to confront someone in her class who was bullying her. The children’s version, entitled Rose’s Gift, will focus on my mother’s schoolgirl years. Hopefully it will inspire any child who has ever felt the pain of being different, and who has searched for strength in situations where they might otherwise feel powerless. I am also working on another children’s book that, improbably, combines baseball, religion, mysticism and music. Stay tuned for that one. A: A spiritual journey doesn’t end when a book does. My mother continues to write and share her experiences with me, touching on topics that are at the very core of religion and history. The book’s website is intended to offer more than just informational or promotional support for the book. We see it as an evolving virtual place; a concept, a community, or a movement—however you wish to define it—whose mission is to help transform our troubled world into an era of global harmony blessed with Divine love and light: in short, a force for good in the world.